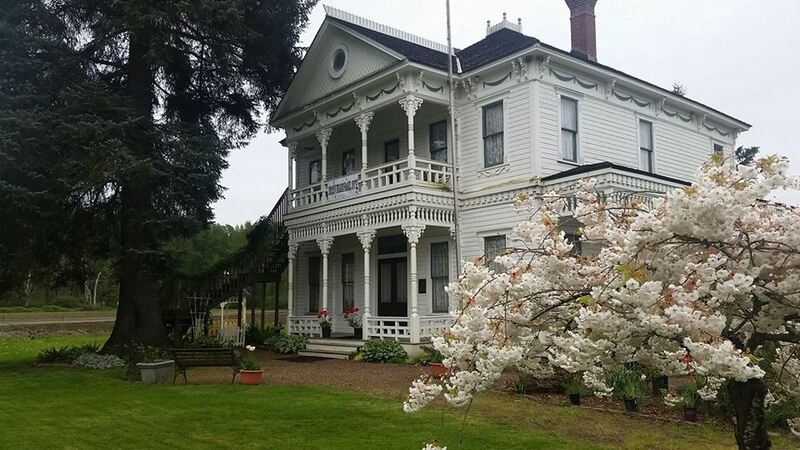 Neely Mansion, located on the Auburn-Black Diamond Road, was built in 1894. The building is in the National Register of Historic Places and was the second structure placed on the county register of landmarks. The future of two structures intimately connected to the development and early settlement in King County may hinge on two separate meetings to be held this month. The first will be at the Auburn City Hall Monday at 7:30 p.m. when people interested in the fate of the Neely Mansion, tied to the early settlement of the Green River Valley, will meet to see if something can be done about continuing a restoration project which has been halted for lack of funds. Contract for construction of Cedar River Pipeline Number One awarded on April 19, 1899. Gisell Herzog founds first Seattle chapter of Hadassah on April 19, 1923. Fox (Music Hall) Theatre opens in Seattle on April 19, 1929. Seattle's Monorail is christened on April 19, 1962, just two days before Century 21 opens. Stokely Carmichael speaks to 4,000 at Seattle's Garfield High School on April 19, 1967. Seattle Radical Women hold what is likely the nation's first women's liberation demonstration on April 19, 1968. Seattle City Council approves open housing ordinance on April 19, 1968. The Washington House of Representatives votes to restrict pay toilets on April 19, 1977. Democratic State Senator Sid Snyder shocks Legislature by resigning from office to protest GOP tactics on April 19, 1997. Space Needle officially becomes a City of Seattle historic landmark on April 19, 1999.